I was part of the communications team that supported a pilot project in Laak Noord, a neighbourhood of The Hague, The Netherlands. This pilot project for the Municipality of The Hague was part of a larger EU-funded project working towards a more involved and responsible civil society. Laak Noord is a very diverse and unique neighbourhood, with its 8,000 residents representing more than 30 different nationalities. More than 30 welfare and other organisations are present in the area, active in a wide range of fields, and often duplicating effort. Due to this complex situation, a communications team was employed to streamline communications, and to find new and innovative ways to do so. As the communications nexus, our task was to involve the residents and professionals in the area and to find sustainable ways to support these communication lines. The project will ran until September 2014. I was engaged by Sabine van Meeteren as a partner to lead the communications of this project. Design agency DoubleMatured was involved to help collaborate on a strategic level, and to take the lead on any visual designs that might be needed during the project. The international nature of the area’s inhabitants and a relatively high level of illiteracy meant that visual communication would play an important role in the project. It was therefore decided to include a design agency in the strategic and implementation levels of the project. This project is unique in that no specific process was decided on before the onset of the project. Instead, it was decided that a dynamic and participative approach would be the most effective in this specific situation. Early on in the project, it became clear that the most effective means of communication with the residents and professionals would be face-to-face. 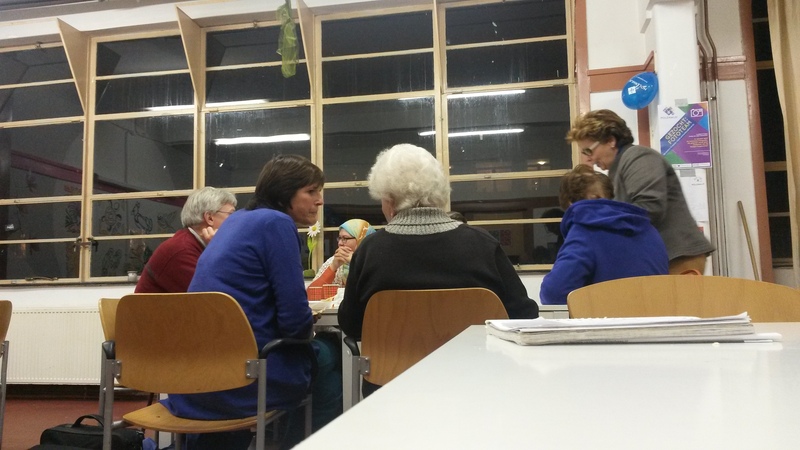 Frequent meetings were therefore held in Laak Noord, bringing various key actors in the neighbourhood together. A project director, essential to lead the discussions and bring the right parties to the table, was employed, while we in the communications team advised on the processes. By the end of the project, a number of key achievements have been reached. We have brought together residents and various professionals and organise a monthly meeting where they dine together, and discuss relevant issues pertaining to the neighbourhood. Most of these issues are then translated into concrete activities for action groups that have already been able to make a difference. One of the outcomes of these meetings is a new visual identity and website for the neighbourhood, designed in close cooperation with the residents themselves. This ensured that a sense of ownership of the identity is felt by the residents. 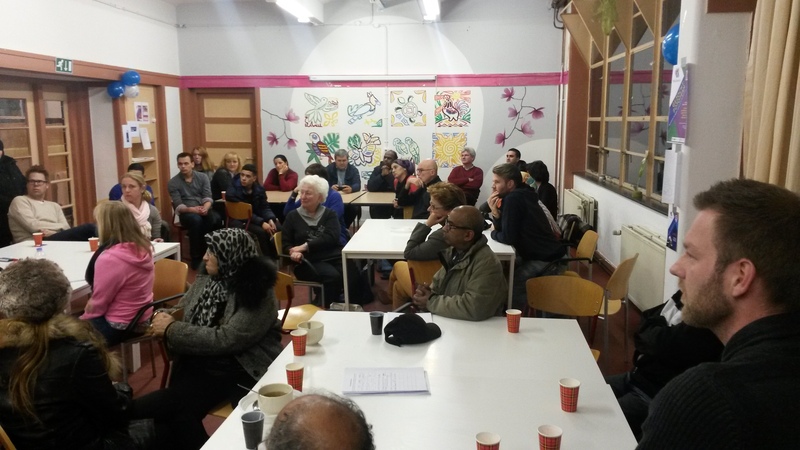 Though the project is now over, these meetings are still organised frequently by the residents and their organisations. As this project is a pilot study, accurate documentation is a key component, in order to facilitate possible future replication. We constantly documented out methods and improved our overall methodology. A reflection group of independent professionals aided us in reflecting and improving on methodology. My role evolved over the course of this project. Initially my involvement was predominantly as a sounding board, asking the right questions and providing critical feedback on the project plan, but this expanded to include more active tasks. 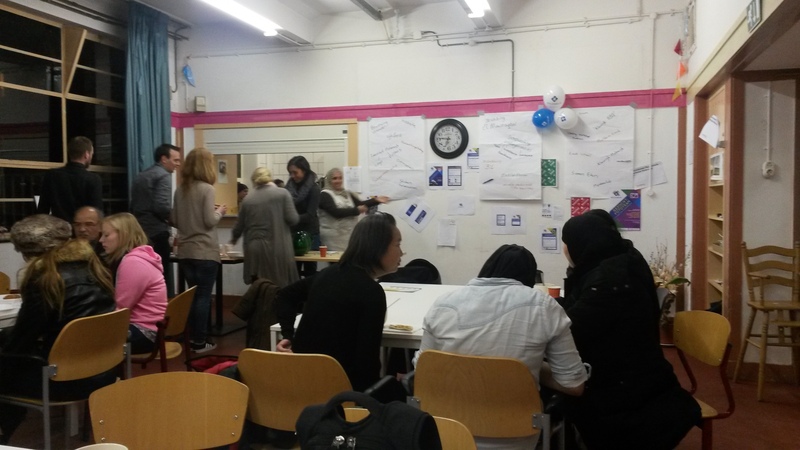 One major activity is the organisation of the monthly meeting, and guiding the interactions between participants, in order to maximise their engagement and to harness their creative energy. I was the lead responsible in the project for documenting the activities we undertake to ensure that others can use this pilot as a basis for further projects. Sabine is an independent communications consultant with extensive experience working in non-profit and government projects. She also works as a ‘ladyspeaker’, presenting at events such as fashion shows and festivals. Due to her experience in the welfare industry and with government, Sabine is the Principal of this project, and reports directly to the municipality. Jeroen was the Project director in the neighborhood, and was the key contact person between the various players. His experience dealing with different (semi-)public and private interests, e.g. as lobbyist in Amsterdam and project manager of 3FM Serious Request 2011, made him an ideal candidate for this position. DoubleMatured has been involved since the start of the project. Their role was both a strategic and creative one. By involving this design agency in all areas of the project, they were able to more accurately create the visual communication tools necessary for the project.